12 August. Following a two-day meeting with Burmese National Army district commanders, Burmese nationalist leader Aung San stops the agreed process of integrating BNA troops (now renamed Patriotic Burmese Forces) into the regular Burma Army and demands renegotiations. Frustration has been mounting over the treatment of PBF troops by British soldiers and officers of the Civil Affairs Service for Burma, CAS(B). Also notable has been the hostility shown towards Aung San by exiled British Governor Reginald Dorman-Smith and General William Slim, commander of the Allied campaign in Burma, their animosity alleviated by the personal support of the Supreme Allied Commander South East Asia Command (SEAC), Admiral Lord Louis Mountbatten. 16 August. A three-day conference of the Anti-Fascist People’s Freedom League (AFPFL), the umbrella organization pushing for Burmese independence, begins at the Naythuyain Theatre on Kandawgyi Lake in Rangoon. With Aung San in the chair as acting president, the assembly calls for the establishment of a provisional national government and national elections for a constituent assembly after the end of the British military administration. Delegates also demand the rebuilding of a permanent Burmese Army with resistance troops and the Patriotic Burmese Forces at its core. 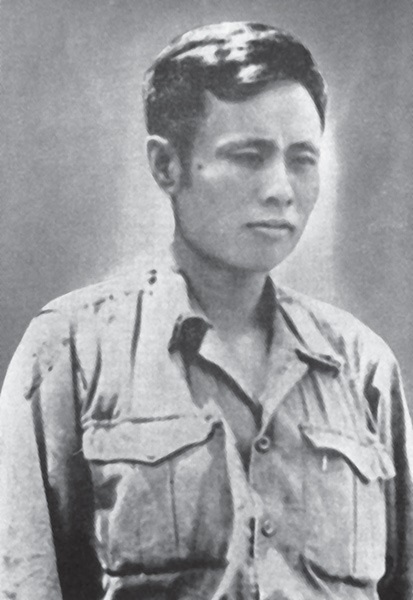 Aung San in BNA uniform. This is the first of a three-part ** ‘Special Edition’ ** that presents all Burma materials in a single location. Click for Part II, Part III The following expert analyses are related (sometimes indirectly) to the situation in Burma: Mike Charney, Aung San emerges as a civilian politician. Susanne Prager-Nyein, The birth of Burma’s modern army. Susanne Prager-Nyein and Tun Kyaw Nyein, Setting the Stage for the Final Struggle - the Naythuyain Conference. Paul Kratoska, A POW takes charge of the Thailand-Burma death railway Susanne Prager-Nyein, A sense of frustration – The return of Governor Dorman-Smith Donald Seekins, U Saw: An enigma in East Africa. Mikael Gravers, Striving for their own country: the Karen of Burma.